2017 may seem like an age away, but in cruise holiday terms – it’s right around the corner. With Wave Season 2015/16 about to begin, cruise lines have already turned their attention to ’17 in the hope of capturing advanced bookings, as well as repeat custom from elated passengers returning from this year’s cruise, determined to book another for 2017. What does that mean for those thinking of booking a cruise? It means there are some great ‘early bird’ discounts doing the rounds at the moment, not to mention complete availability and flexibility regarding the types of cruise available. If that’s not enough to convince you to book your 2017 early however, perhaps one of these reasons will help to sway your decision. If you’re a great believer in the timeless proverb, the early bird catches the worm, then you should put this to practice and book your cruise early. When next year’s cruise breaks first go on sale, cruise lines tend to offer a range of discounts and deals to attract an early bookings boost, and — as touched on above — to capture reservations from repeat bookers. From free on-board credit to discounted deluxe cabins, by booking early you stand to make a great saving on 2017’s getaway. As with the majority of last minute holidays — late bookers are often left with meagre pickings when it comes to accommodation options, and the same can certainly be said of cruises. Unless you aren’t bothered what type of cabin you stay in on the high seas; booking early means you’ll be able to choose your perfect type of room and not settle for an undesirable one others have purposefully avoided. From balcony suites to palatial staterooms, booking early means you’ll get the pick of the bunch. Naturally some sailings are more popular than others, and these can book up well in advance of the departure date. In fact, some itineraries can be fully booked up to six months before the ship is due to set sail — leaving late bookers stranded ashore without a holiday. If you have a particular route in mind that you know to be quite popular, don’t wait around as we’d hate for you to miss out. Instead, get your booking in now so you can sit back, relax and eagerly await next year’s getaway. Whilst it’s entirely plausible to enjoy a cruise break without any forward planning, giving yourself plenty of time to arrange onshore excursions and familiarise yourself with your ship’s facilities could mean you have a better time when your holiday finally comes around. By booking things like shore excursions well in advance, you stand to save a fortune when compared to the price of booking them on-board as and when your ship sets sail. Booking early will also give you ample time to research different destinations and port calls, so you know just what to see and when. If your heart is set on a cruise to somewhere warm, exotic and truly far-flung, booking early means you can get there and back without any hassle. How? Some cruise breaks require you to catch a flight to the destination port, and if you leave it ‘til late to book you could find it difficult to find flights which best suit your departure time. Also, if airfare isn’t included in your total holiday fee, you could end up spending a fortune when it comes to booking flights. Convinced an early bird cruise booking is for you? Then visit the Cruise1st Australia website, where you’ll already find lots of great deals for the 2016/17 cruise season. Alternatively, if you’d prefer to wait a little longer to make your booking, that’s OK too; we’re constantly updating our website with the best cruise deals, so you’re sure to find the perfect cruise regardless of when you choose to book. For more information, speak to a member of the Cruise1st Australia team by calling 1300 857 345. 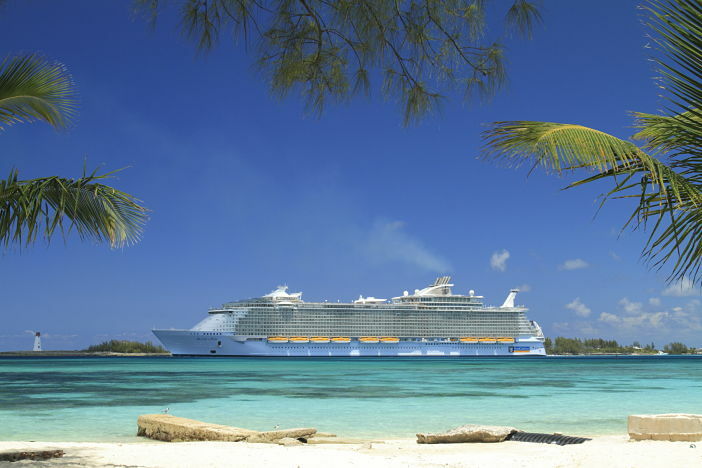 Images sourced via Royal Caribbean Press Center. Credit: Royal Caribbean Cruises.